It's no surprise to learn that not all 'Everesting' attempts are successful, and I guess if they were it may well take the fun out of it. 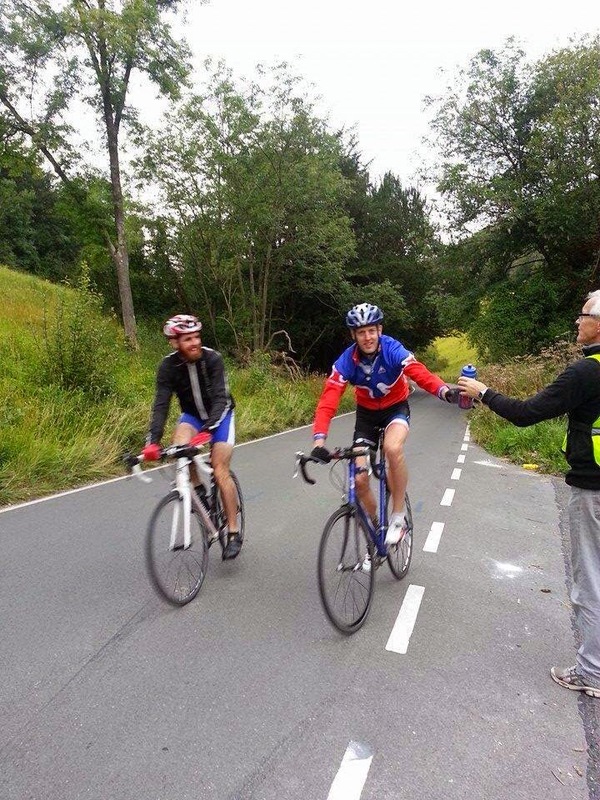 Richard has kindly shared with us the ups and downs of trying to enter the Everesting Hall of Fame. 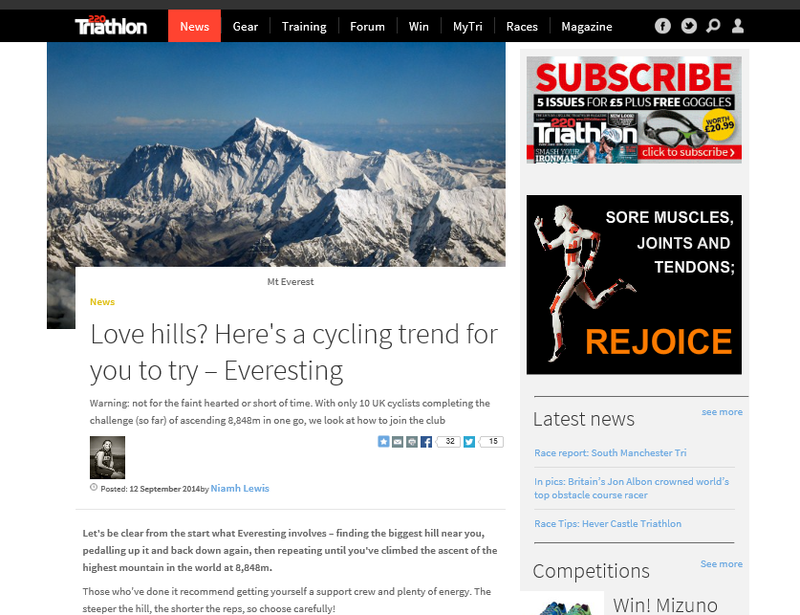 I’ve been slightly obsessed with the idea of Everesting since i first saw the Box Hill attempt in August. I started road riding about 4 years ago and this year has been my best yet. I completed the Rapha Festive500 over Christmas and then was lucky to get a place on the Fred Whitton. I began increasing my ride distances in January, with my first century ride completed in February. 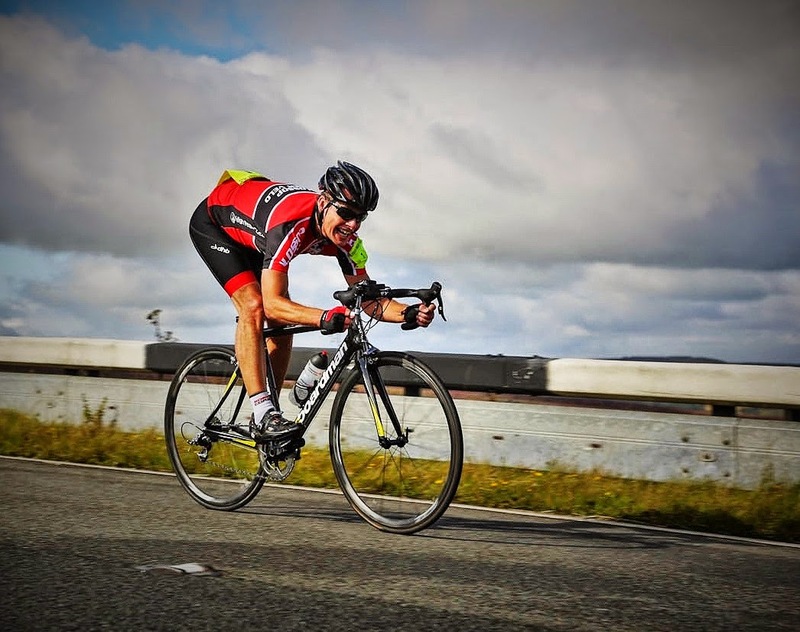 I clocked up a further 11 centuries before the event and continued to push myself over the summer, completing several 200km audax rides and a 330km solo effort. I would just ride on the weekends, mainly on my own and discovered such pleasure from being out on my bike all day. Everesting sparked my imagination when looking for one final challenge before the end of the season. I wanted a ride that would push me to my physical and mental limits, to see where those limits were and find out how i would respond. On 23rd August i made my first attempt on Kop Hill in Princes Risborough, Buckinghamshire. I’d not ridden it for several months and had forgotten quite how steep it was. 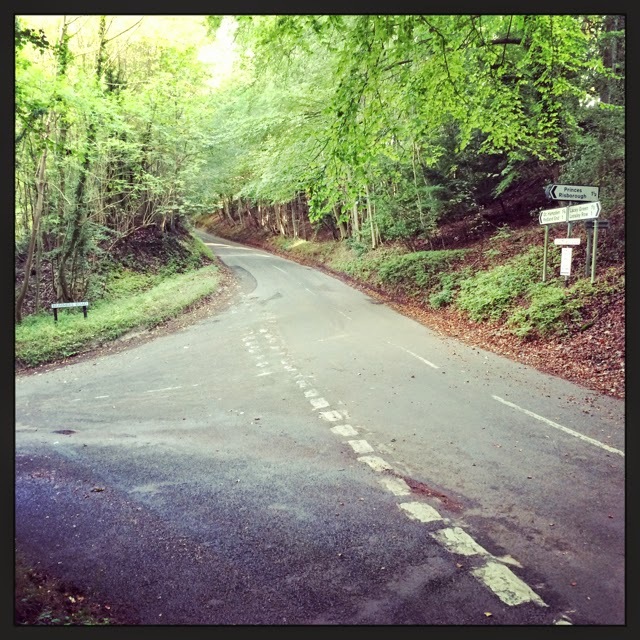 The hill has since appeared in the Tour of Britain and is famous for its motorsport hill climb history. I arrived just before 7am, completely oblivious to what it would really take to Everest a climb. I rolled down to the bottom ready to start the first of the 95 required reps. The first ascent was a big shock, i straight away knew that this was not going to be my day, not the kind of thought you want going through your mind with so much still ahead. I thought i’m here now, i might as well crack on and just get in a decent ride and see how far i can get. 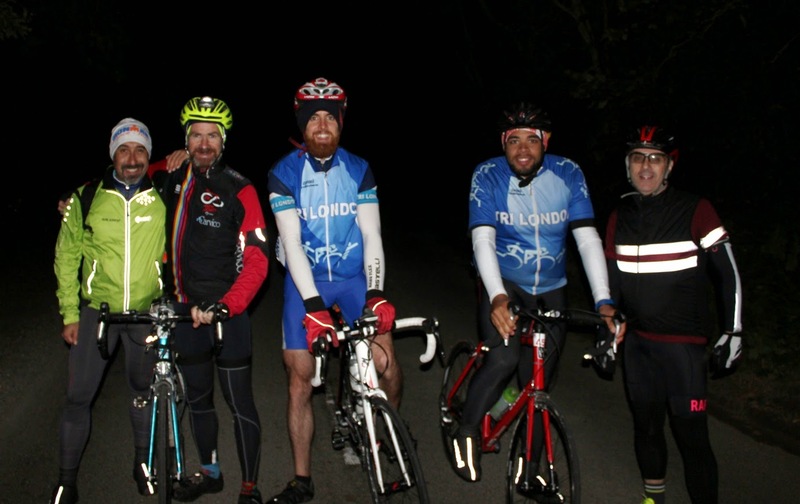 UK cyclist Chris Ward recently became the 13th and oldest Brit (at 51) to complete the gruwling Bicinglette Challenge in France, this was achieved by completing six ascents of Mount Ventoux in under 24 hours. Although not technically an 'Everesting' due to taking several different routes up the mountain, the challenge does mean climbing 8886m of elevation on one of the worlds most famous cycling mountains. Thanks to Chris for sharing his video of the days events. Here at EverestingUK we like to concentrate mainly on all things UK based, having said that it seemed a shame not to share this great story sent in from overseas. So, Everesting? Chances are that if you’re reading this you have a fairly good idea what Everesting is all about – the same hill, 8848m of vertical ascent and enough bloody mindedness to get the job done in one sitting. What you may have less idea about is the actual experience of doing it. A lot of people talk about the psychological battle they faced and while it is undoubtedly a big undertaking I really didn’t have too many problems. Firstly, 16 hours was only the equivalent of one day at work with a solid evening of study, something I had spent a full year doing prior to sitting for my Anaesthetic Fellowship. This Everesting expedition would certainly be more fun as I got to spend the entire day on my bike; also I only had to tough it out for one day, not 365. 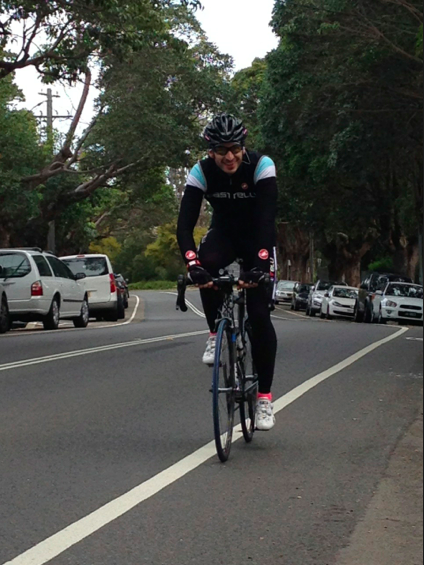 Secondly, I was electively deciding to ride an expensive road bike up and down a hill in the middle of a very affluent suburb in Sydney. Whatever the outcome, I was going home to a hot shower, a hot home cooked meal and a hot pregnant girlfriend. In the context of 1.1 billion people worldwide not having access to clean drinking water I found it rather difficult to feel sorry for myself! Causey Way Hill, Completes Everesting 'SSSS' Category. After claiming Great Dun Fell, I received an email outlining plans of a new Elite category of ‘Everesting’ named SSSS. As if riding the height of Mt. Everest in one ride wasn’t enough, this new category would raise the bar even higher. The challenge would comprise of completing four separate ‘Everests’ of a specific type. 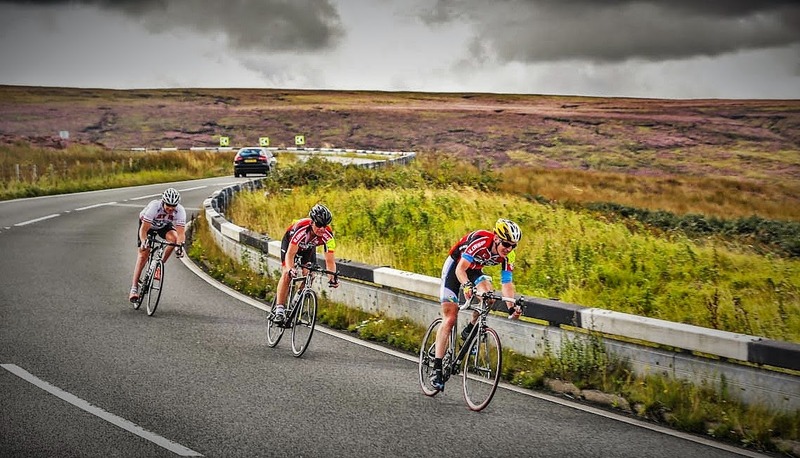 SSSS stands for - Significant (An iconic climb)- Soil (An Off-Road climb)- Short (Under 200km/124miles) and Suburban (An Urban/Metro climb) One of these four rides must also be over 10,000m/32,808ft of elevation. This was a challenge on top of what was already a big undertaking, however, if someone dangles a carrot, its only human nature to try and take a bite. When I tackled Hardknott Pass it was because I wanted too, and I would have done it regardless of any ‘SSSS Category’ as 30x up that hill was a challenge in itself. I did however know that by doing so I’d already have the ‘Significant’ and ‘Short’ rides ticked off my list. It was at this point I really started thinking about the SSSS, I needed an ‘Off-Road’ and ‘Suburban’ and one would have to be at least 10,000m. It seemed a big ask but I started sussing out climbs anyway, and after another three weeks I’d tackled my off road ride of Chapel House Woods in the Lake District. With three now under my belt, I had my eyes on completing the challenge before winter arrived. Up until this point I hadn’t really considered who else might be trying to tick off all four rides, I knew no one had completed it yet, but needed to find out if anyone was close. With a bit of investigation, I found that an Australian man named Jon Van Seters was almost there. Jon already had his Significant, Short and Suburban rides, and was only in need of an Off-Road effort to make him the first to complete the challenge. 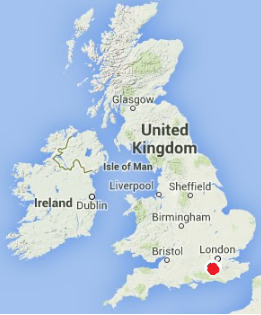 As Australia’s spring time was just around the corner, our days here in the UK were beginning to shorten. I knew Jon was planning his next ride but didn’t know exactly when it would be, I did however know that if I left mine until the following spring, he would undoubtedly beat me to it. 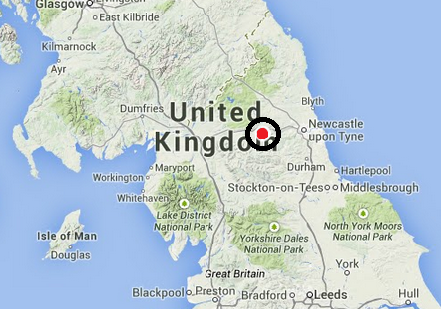 With this in mind, I finalise the location for what will be the fourth and final ride. So even before I had even completed everesting Boxhill I always knew I would maintain my original date of September 6th and stamp my name on another climb. Boxhill was such an enjoyable day however it did not satisfy my hunger for pain and suffering. 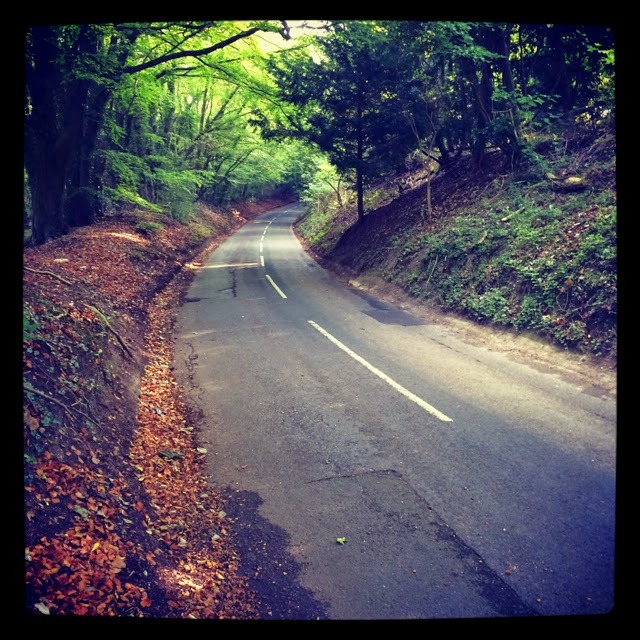 I wanted to set a personal benchmark, I wanted to know how far I could push myself and so I set out once again in search of this on Leith Hill in Surrey. My body felt absolutely fine the week post Boxhill and was helped by a lot of stretching and a visit to my physio. I rode a hard 290km out and back over the Saturday and Sunday of the following weekend and then on Tuesday it all caught up with me and I had 3 nights on the trot with 12 hours of sleep. Unfortunately my grandmother passed away the following Sunday and so I was back in Ireland first thing on Monday morning. Very selfishly, one of my first thoughts was that I wouldn’t be able to go for the hill on Saturday however I spent Monday morning alone in my parents’ home back in Greysteel thinking and eventually coming to the conclusion that I could have no greater motivation and that I would do it in her memory. My grandmother was cared for by the Foyle Hospice, the charity I am raising funds for, back in the early 2000’s and I always remember going to a lovely Sunday morning mass there to visit her with a lot of my family. So having decided to carry on with my challenge I spent the next two days at my grandmother’s house catching up with the rest of my family and trying to avoid the unlimited supply of tea and buns that are a necessity of an Irish wake. I said my final goodbye to my grandmother on Wednesday morning, spent the final few hours with my family and arrived back in London at 2am on Thursday night. On Thursday morning two of my club mates, Alan Bruce and Roz McGinty, started getting the word out that I was going everesting again and organised support crew for various stages of the day. As usual the response was epic and I got my buzz back, the tingle down the back of my legs and the itch that I had felt a few days before my impromptu everesting of Boxhill, I felt ready once again. I had learn’t my lesson from the last time and decided not to announce my hill until the last minute. I spent Thursday night prepping food and organising my equipment and put the finishing touches together on Friday evening before heading off to bed at 2100. Mk5 to use in my latest Everest attempt, the light had around a 45% discount and cost roughly £180. Very bright, 1600 lumens on full beam. The light also benefits from 'smart port technology' which allows it to be used as a back up power supply. This comes in very handy when combined with a Boost Cable as you can recharge your Garmin during a long ride. Surrey. 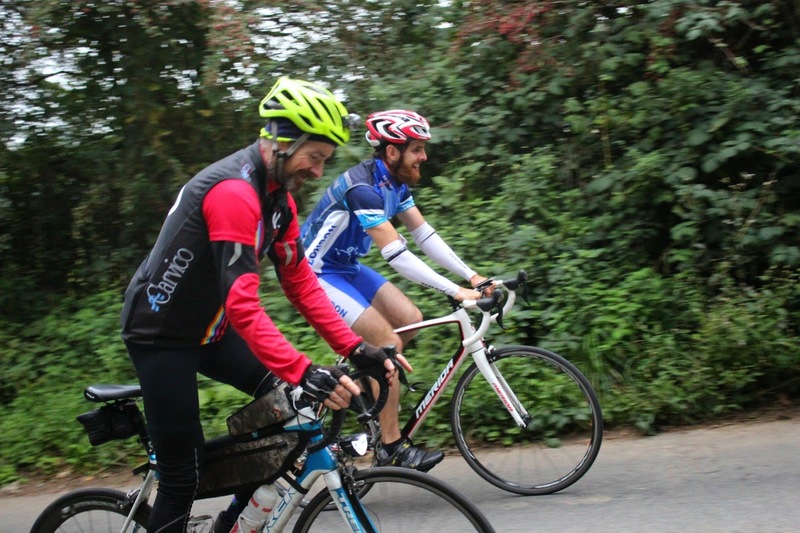 Thanks to Ciaran for sharing his great ride report of the days events. So the past couple of days I’ve been trying to figure out when I decided to attempt an Everest on Boxhill. It must have been back in April when I was full of energy and training hard and obviously not thinking clearly but I don’t regret this decision for one minute. So I headed down to the hill early one morning in May and set out for a few hours of reps. I ended up doing 12 in just over 2 hours which was a decent pace and so I figured to Everest I could do 4-5 per hour which would be a total of 18-19 hours not including rest. Through June and July I was on Muswell Hill and Ally Pally twice a week covering at least 1000 metres each morning. A lovely place to be when the sun is coming up and the roads are quiet. In early June I also discovered Epping Forest as I never realised how close I lived to it and this became my stomping ground for short sharp spins and scenic recovery rides. As the summer rolled on my desire to ride never waned as I clocked up more hours, more miles and more metres every week. The long all day rides in the Chilterns and South Downs, spending up to 14 hours on the bike, were such a joy and if the sun had of stayed up I would have just kept going. August soon rolled in and I began my final 3 week block of solid training. Motivation was high and towards the end of the first week I was starting to feel ready for Boxhill and the itch to begin my challenge felt deeper and deeper after every ride. I put in a good solid ride to Brighton one Saturday followed by an all out 2 hour sprint on the Sunday of ‘Hurricane Bertha’, a recovery ride Monday morning with Tuesday and Wednesday being hills and intervals respectively.